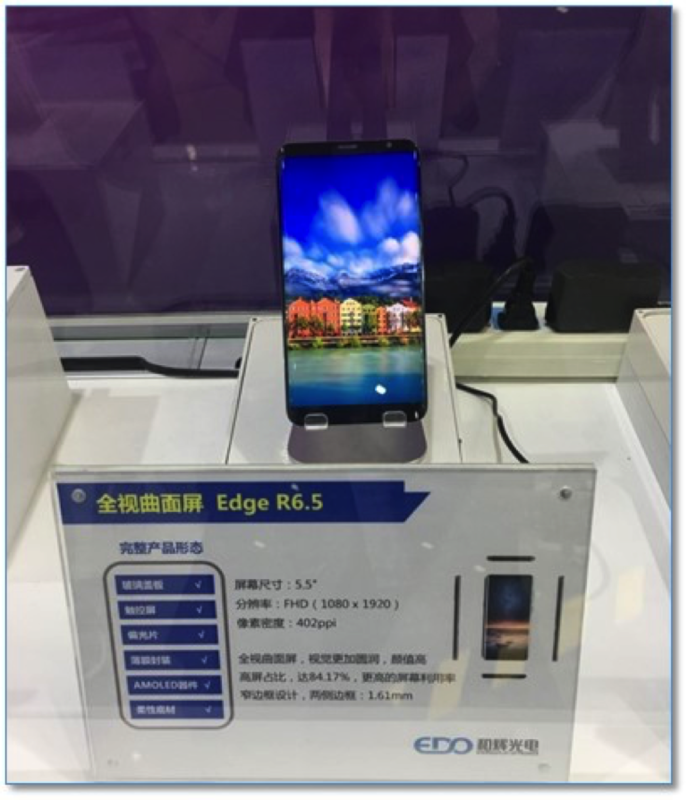 The 6th China Electronics Fair is taking place in Shenzhen, China and Everdisplay showed a 9:18 aspect ratio OLED smartphone screen and a rounded edge OLED smartphone display. 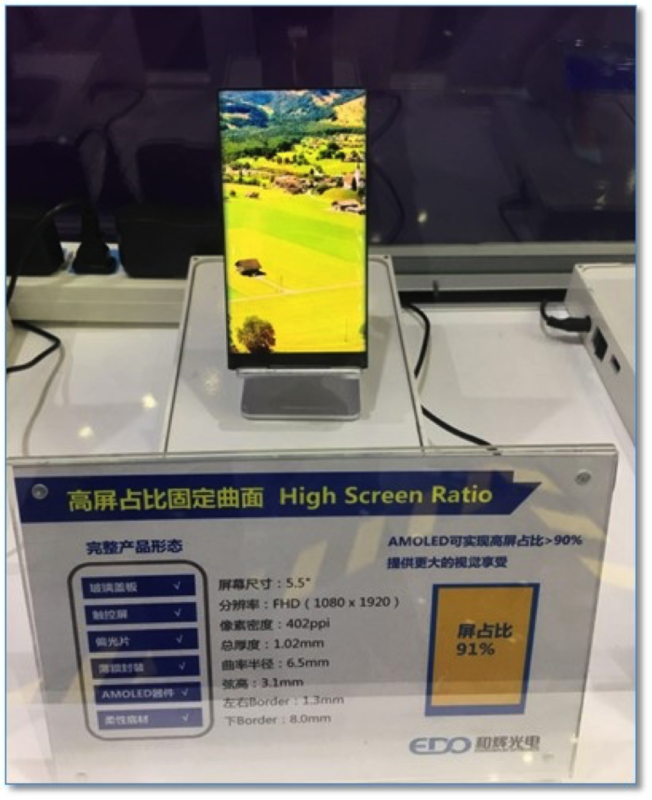 They expect to have both displays in mass production, but no date was given. 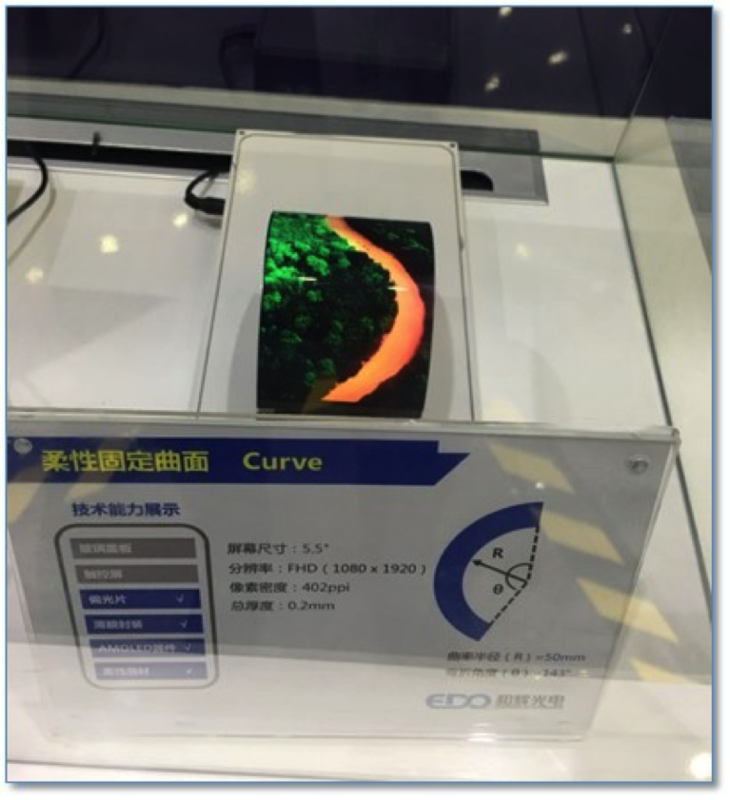 Three prototypes were constructed on glass rather than plastic, yet were still able to be bent, folded, and rolled, setting them apart from most others. 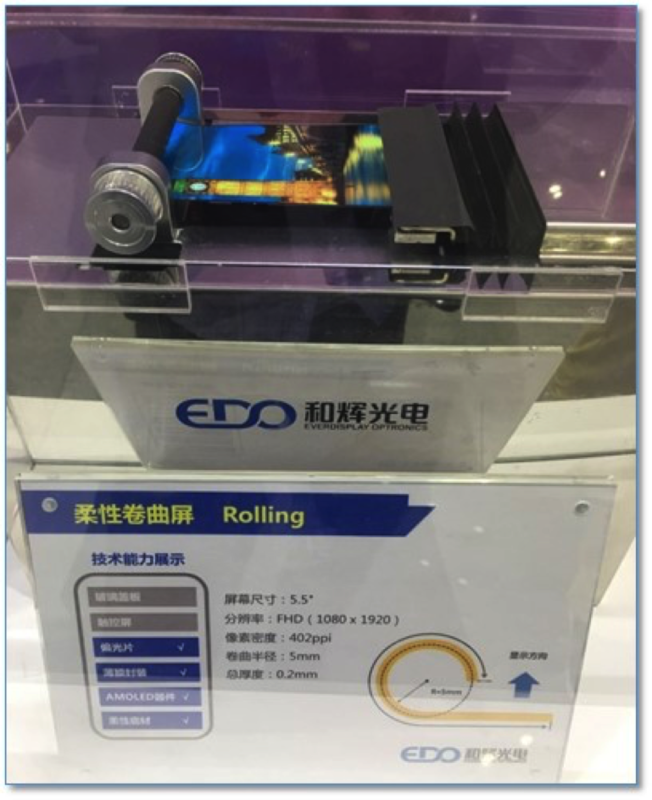 EDO currently is producing small panel rigid OLED display on its Gen 4.5 LTPS fab that has a raw capacity of ~21,000 sheets and is also building a Gen 6 flexible OLED fab that should be in production by June 2019.